In this episode Jenny Clark and Tony Gray talk about great innovation and resources when it comes to cutting-edge technology and getting there quicker. 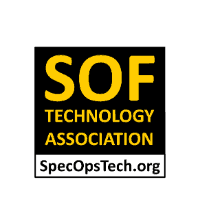 What are the Goals of SOF Technology Association? What are the hurdles for companies in SOF? What are the Game changers in business development? How does SOF Technology Association LinkedIn Group help? How you must change Marketing and Response! Don’t You Hate Wasting Your Morning in a Support Queue?